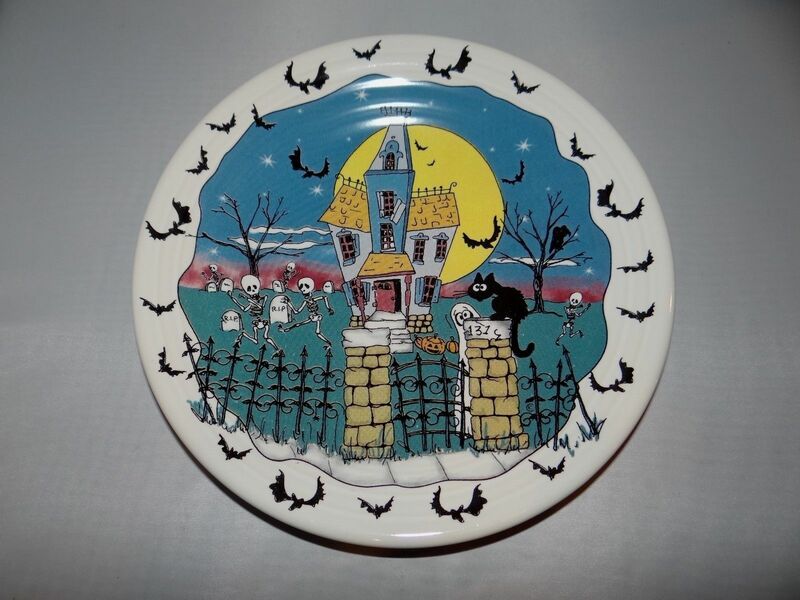 Several of my relatives collected Fiesta dinnerware in the 1960s. 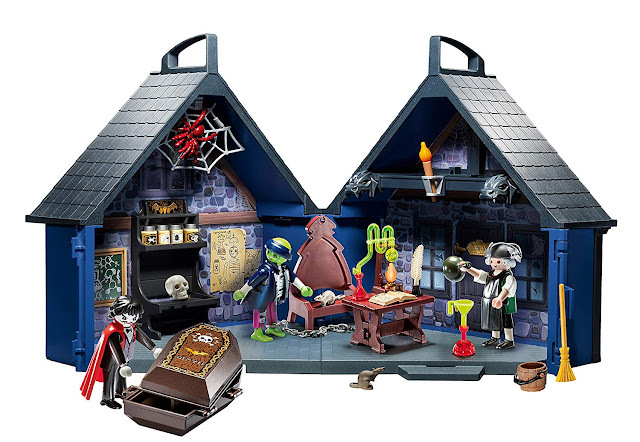 Now I'm excited to see that Fiesta has come out with their own line of Halloween dishes. 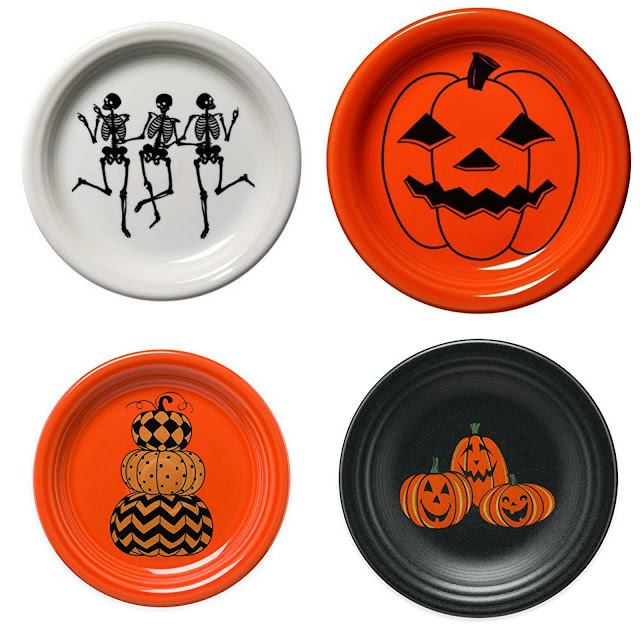 Add an extra festive touch to your next Halloween celebration with these decorative plates from Fiestaware. 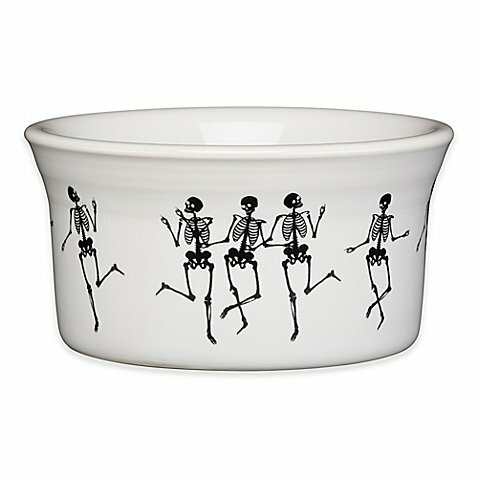 The dancing skeletons and whimsical bats on this plate are fun! 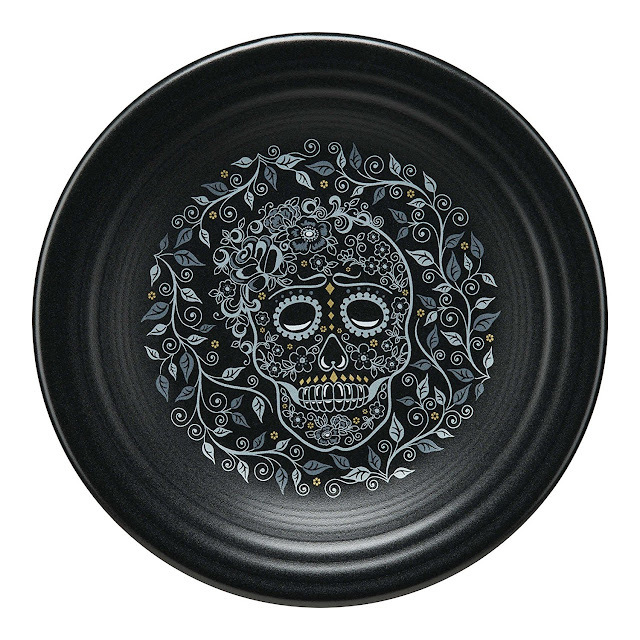 Fiesta carries Halloween dinner plates, luncheon plates, appetizer plates, mugs, and even a Halloween skeleton ramekin! 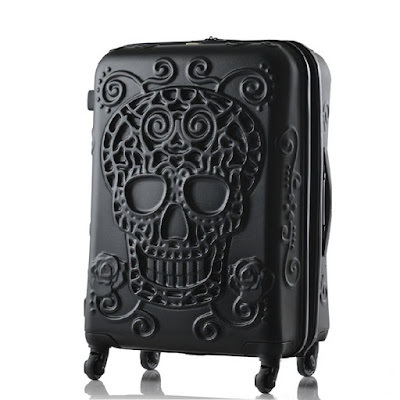 Serve your guests off of festive Fiesta dishes this Halloween season!